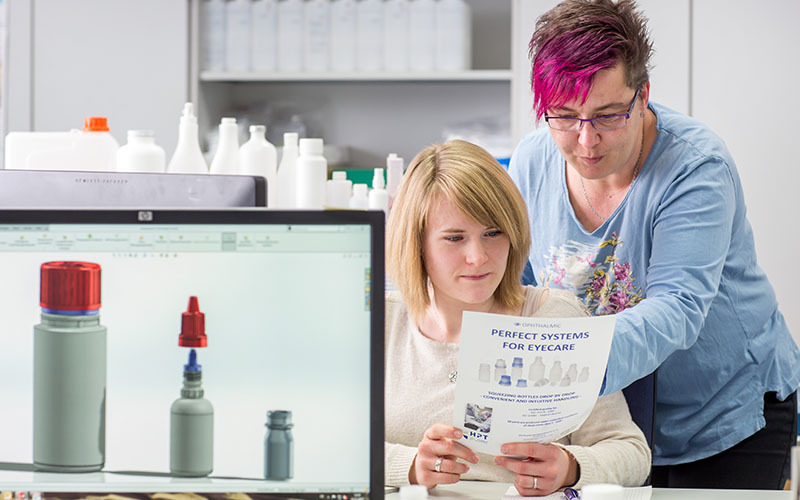 Years of experience have given Röchling Medical proven expertise in developing and manufacturing high-quality plastic primary packaging for the pharmaceuticals, diagnostics and life sciences industries. The company’s own internal R&D department develops, supports and implements customer requests from the very first sketch right down to the finished product. Röchling Medical’s development department will assist you, the customer, with everything from your inquiry to material selection, design creation and initial template production, to the finished product—and even beyond. Röchling Medical places great importance on continuous research and constant further development. We work with national and international institutes and universities as part of our continuous search for new materials, procedures and innovations that can help our customers remain one step ahead of the competition at all times. One topic that sparks continual interest on the market is the search for an alternative to glass packaging, which always carries a significant risk of breakage. The goal with such packaging is to imitate the transparency and barrier properties of glass as closely as possible. 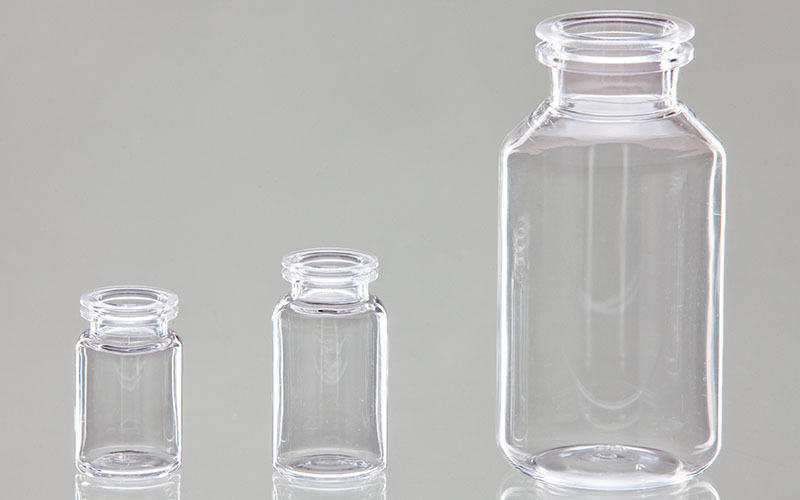 Cyclic olefin polymers have special properties that make them a usable alternative to glass for injectable vials. Worth mentioning are their high resistance to breakage and low application weight, high degree of transparency and special usage with preparations containing protein. Containers are suitable for autoclaving as well as all common types of sterilization. The customer remains in constant contact with our customer service staff during the entire process, and receives competent advice regarding alteration or optimization requests. Maintaining absolutely strict hygienic conditions in our Class C+D/ISO 7+8 clean room environments is equally important to us as addressing questions of environmental policy, economic feasibility and quality assurance. Our project management and documentation, risk analysis, and change management services give you maximum security (see also GMP PLUS). Our technical service experts would also be glad to assist you on site.